As a general rule, people and companies have an obligation to act reasonably so as not to cause unnecessary harm to others. This means not creating or allowing dangerous conditions to exist or taking risky actions that put other people in danger. Failure to do so can expose them to liability for a personal injury claim. However, there is no duty to rescue a person experiencing an emergency. So, while morally reprehensible, it not illegal to watch a person in pain over a broken arm and do nothing to help. Further, when aid is offered, the rescuer is usually immune from civil liability unless certain factors are proven. This exemption of responsibility is to encourage bystanders to help those in need, and in fact, the party who caused the negligence in the first place could be liable to the rescuer if he/she is hurt trying to help the original victim. However, once begun, rescuers are not generally allowed to abruptly abandon a person in an emergency, as this is likely to result in further harm. Sometimes, there is a question about whether aid was undertaken, thus imposing a duty to make a good faith to help. A discussion of when a person has a legal duty to act, and when a rescuer may assume legal liability, despite Good Samaritan laws, will follow below. the rescuer started to provide aid, causing other potential rescuers to abandon offering assistance, leaving the victim in potentially greater danger if the active rescuer stops helping. the rescuer acted reasonably in trying to render aid under the circumstances. the person in danger reasonably relied upon the helper’s undertaking and suffered an injury as a result. In other words, if the rescuer’s efforts exacerbated or created additional injury, instead of relieving the danger, liability for negligence may follow. One of the benefits of living in a community is being able to count on others when help is needed. However, when negligence or reckless behavior causes injury, these individuals need to be held accountable. 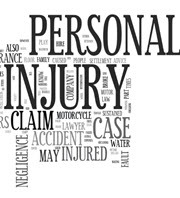 The attorneys at the Miami law firm of Pita Weber Del Prado have years of experience handling many types of personal injury claims, and are available to advise you on your legal options. Contact us for a free consultation.